Michael Weil serves as Chief Executive Officer, President and Secretary of New York City REIT, Inc. and is Chief Executive Officer of AR Global. He has held and currently holds board positions for many of the publicly-registered, non-traded companies currently sponsored by AR Global. Mr. Weil served as Senior Vice President of Sales and Leasing for American Financial Realty Trust (AFRT), where he was responsible for the disposition and leasing activity for a 37.3 million square foot portfolio. Mr. Weil served as President of the Board of Directors of the Real Estate Investment Securities Association (REISA), a leading alternative investments association providing education, networking and advocacy for members. Katie Kurtz serves as the Chief Financial Officer and Treasurer. Ms. Kurtz is also a Director of Finance of AR Global, the parent of the sponsor of New York City REIT. Prior to joining AR Global in July 2013, Ms. Kurtz was employed as vice president by The Carlyle Group (“Carlyle”), where she served as chief accounting officer for Carlyle GMS Finance, Inc., Carlyle’s business development company. From 2010 to 2012, Ms. Kurtz served as director of finance and controller for New Mountain Finance Corporation (“New Mountain”), an exchange-traded business development company. Prior to New Mountain, Ms. Kurtz served as controller at Solar Capital Ltd, an exchange-traded business development company, and in various accounting and financial reporting roles at GFI Group, Inc. Ms. Kurtz began her career at PricewaterhouseCoopers, LLP. Ms. Kurtz is a certified public accountant in New York State, holds a B.S. in Accountancy and a B.A. in German from Wake Forest University and a Master of Science in Accountancy from Wake Forest University. Michael Weil serves as Director and Executive Chairman of the Board of Directors of New York City REIT, Inc. and is Chief Executive Officer of AR Global. He has held and currently holds board positions for many of the publicly-registered, non-traded companies currently sponsored by AR Global. Mr. Lee M. Elman serves as Independent Director, Chair of the Audit Committee and a member of the conflicts committee of our company. Mr. Elman has served as an independent director of American Realty Capital Global Trust II, Inc. since April 2015. Since 1979, Mr. Elman has served as President of Elman Investors, Inc., an international real estate investment banking firm which he also founded. He is also a partner of Elman Ventures, an organization which is advisor to, and partner with, various foreign investors in United States real estate ventures. He has over 40 years of real estate experience, including as an investing principal, a real estate investment banker, and an investment advisor for both U.S. and foreign investors. As President of Elman Investors, Inc., Mr. Elman has negotiated the acquisition of properties in the United States, Europe and Latin America; and presently serves as a General Partner in numerous real estate partnerships. Mr. Elman holds a J.D. from Yale Law School and a B.A. from Princeton University’s Woodrow Wilson School of Public and International Affairs. Ms. Wenzel serves as Independent Director of our company. Ms. Wenzel has been a member of the law firm of Cozen O'Conner, resident in the New York Office since April 2009, as a member in the Business Law Department. Ms. Wenzel practices in in the Real Estate Group and capital markets practice area, focusing on capital markets, finance and sale leaseback transactions. She has represented commercial banks, investment banks, insurance companies, and other financial institutions, as well as the equity, in connection with permanent, bridge, and construction loans, as well as senior preferred equity investments, interim financings and mezzanine financings. She has also represented lenders in connection with complex multi property/multistate corporate sale. 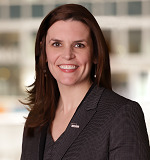 Prior to joining Cozen O'Connor, Ms. Wenzel was a partner with Wolf Block, LLP, managing partner of its New York office and chair of its structured finance practice from October 1999 until April 2009. Ms. Wenzel currently serves as a trustee on the board of Community Service Society, a 160-year-old institution with a primary focus on identifying and supporting public policy innovations to support the working poor in New York City to realize social, economic, and political opportunties. Ms. Tuppeny serves as Lead Independent Director of our company. Ms. Tuppeny has been the chief executive officer and founder of Domus, Inc., a full-service marketing communications agency since 1993. Ms. Tuppeny has 30 years of experience in the branding and advertising industries, with a focus on Fortune 50 companies. Ms. Tuppeny also founded EKT Development, LLC to pursue entertainment projects in publishing, feature film and education video games. Prior to founding Domus, Ms. Tuppeny was executive vice president, business development at Earle Palmer Brown from 1992 to 1993. From 1984 to 1993, Ms. Tuppeny worked at Weightman Advertising, where she became senior vice president. From 1982 to 1984, Ms. Tuppeny was an account executive at The Marketing Group. Ms. Tuppeny served on the board of directors and executive committee of the Philadelphia Industrial Development Council, or PIDC, for over three years where she helped to plan and implement real estate transactions that helped to attract jobs to Philadelphia. As a board member of the PIDC, Ms. Tuppeny was responsible for evaluating and approving commercial and residential real estate business development applications for financing and tax abatement for for-profit and non-profit companies. During her tenure on the PIDC, Ms. Tuppeny approved over 500 real estate development applications including the funding for Citizens Bank Park, home of the Philadelphia Phillies, Tasty Baking. Ms. Tuppeny was the recipient of the Stevie Award as the nation's top woman entrepreneur in 2004 and was named as a Top Woman in Philadelphia Business in 1996, one of the Top 50 Women in Pennsylvania in 2004 and as the Businessperson of the Year in 2003 by the Greater Philadelphia Chamber of Commerce.